Prescott Map is "The Way To Get Around ", area map of the Quad-City area. 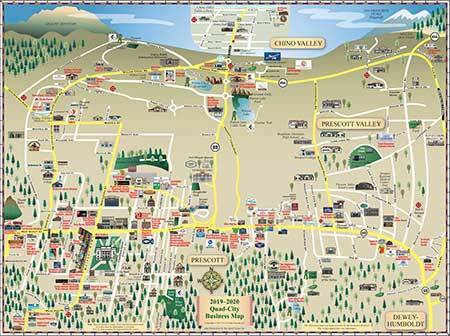 The towns and cities included in the Prescott area map are: Prescott, Prescott Valley, Chino Valley and Dewey-Humboldt. To date over 1,400,000 local maps have been printed and distributed throughout the area, and for the past 17 years we have also provided affordable established online web advertising too! Please take some time to navigate and review our website content! Click on the Prescott Map image below or the one in our promo column that is shown on most all the pages of our website to view our “Current Map” edition of our Prescott, Prescott Valley, Chino Valley and Dewey-Humboldt map. 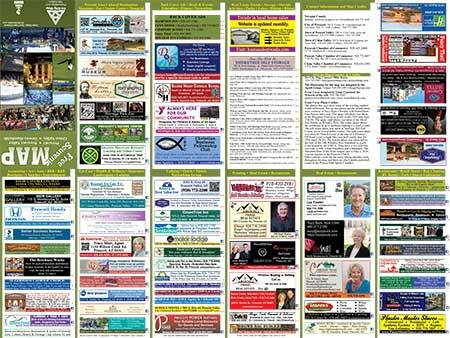 A special “thank you” to the local businesses that advertise on our Prescott Map, you make our map and website possible! We highly recommend using them as you will not find a better or friendlier group of businesses. If you live in the area, are moving here, or just planning on visiting soon, please review, contact and visit our Prescott Map listed local advertisers. You can click on the above menu navigation button “Our Advertisers” or the Prescott Map advertiser’s image below to easily find them listed by category. Then, from that web page you can choose to click directly to their websites for more information about their products and services. 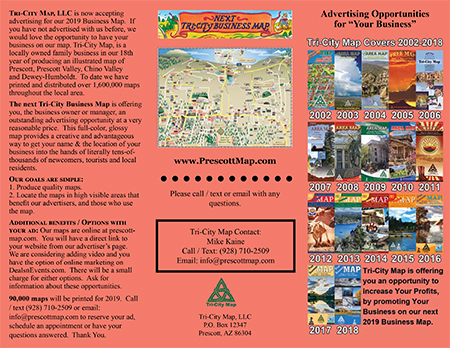 If you would like to discover more about our family owned business, Tri-City Map, LLC., the Prescott Map, it's distribution areas, advertising benefits, online web advertising options, and our current advertising rates please click on the menu navigation button “Information” above or the brochure image below. You can use the "Map Archive” menu navigation button above to open and view all of our previous years maps of the area. Both the front and back of the map are shown, just click the image of your choice to open a large usable PDF file for that years map information. We provide a website links page with valuable local community resources that you may be interested in knowing are in the Prescott area. Please click on the menu navigation button “Links” to review and use this resource tool!